Its Friday night and your event is in full swing. Becky Blaney is tearing them up. This stand up comedian - magician keeps the jokes, tricks and batons flying as her on-stage guests become the stars of the magic show. Few woman comedians captivate an audience with clean comedy that is contagious and yields explosive laughter. 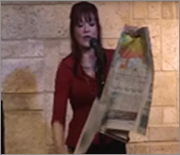 Becky's improv comedy is spontaneous, refreshing and always a joy to watch--a rare female comedian indeed. Add to the mix Becky's Southern Charm and you have yourself one of the best comedy and magic shows around. 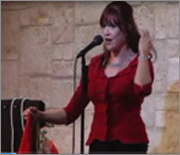 Contact Becky Blaney now and book a comedian - magician who is a favorite around the world.